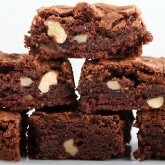 I tried several brownie recipes and mixed and baked until I had my own favorite version. 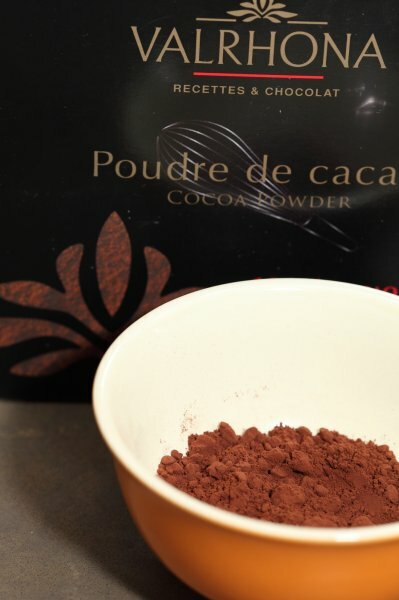 Using good quality dark chocolate and adding extra cocoa powder (I use Belgium chocolate by Callebout 67% Madagascar chocolate with hints of coffee and blueberries, perfect for the chocolate snob, and cacao powder from the French brand Valrhona) gives the brownies a very intense chocolate flavor. 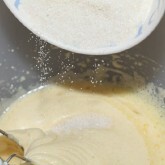 You can add vanilla to the mixture but I found it can do very well without. 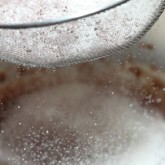 Adding vanilla adds to the overall sweetness, but takes away from the chocolate taste. So I only put a little bit in the glazing. 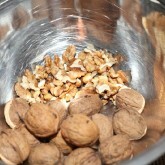 As for adding nuts I find that in this recipe I like walnuts better than peacans. I tried adding them raw and also lightly toasted. 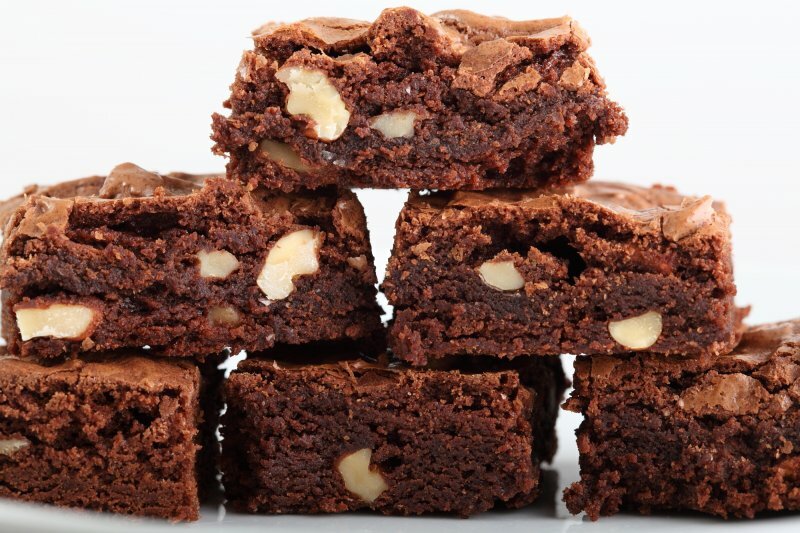 There isn’t a big difference, as long as they are fresh, because there is nothing worse then taking a chocolaty bite from a brownie and then tasting stale walnut. I also saw recipes that use less ingredients for the same size tin. My aim was to make the brownies a bit higher to have more of the fudgy texture. My test tasters commented they liked the higher version the best. 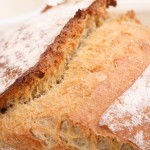 For this recipe you need a 20 cm x 20 cm / 8 inches x 8 inches square baking tin lined with parchment paper. 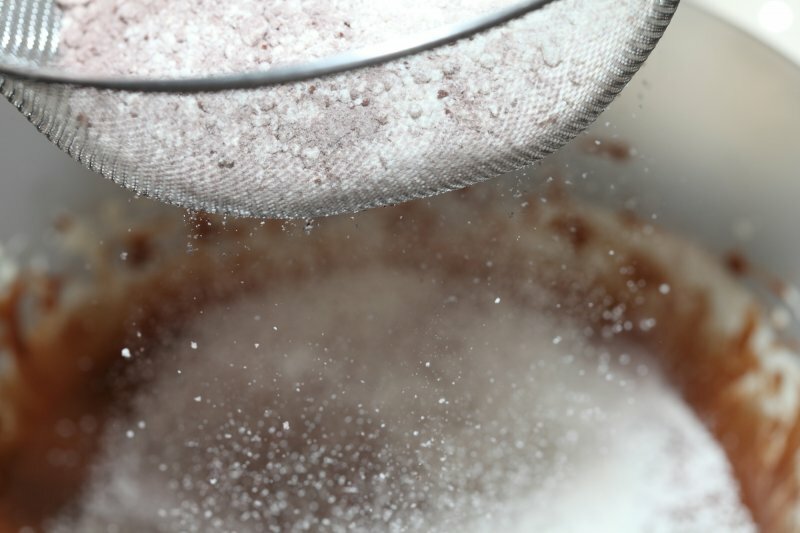 Start by weighing the ingredient. 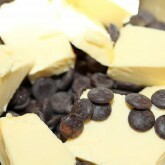 Melt the chocolate pieces and cubes of butter in a bowl over a pan of just simmering water (au bain Marie) and leave to cool. Preheat your oven to 180ºC / 355ºF. 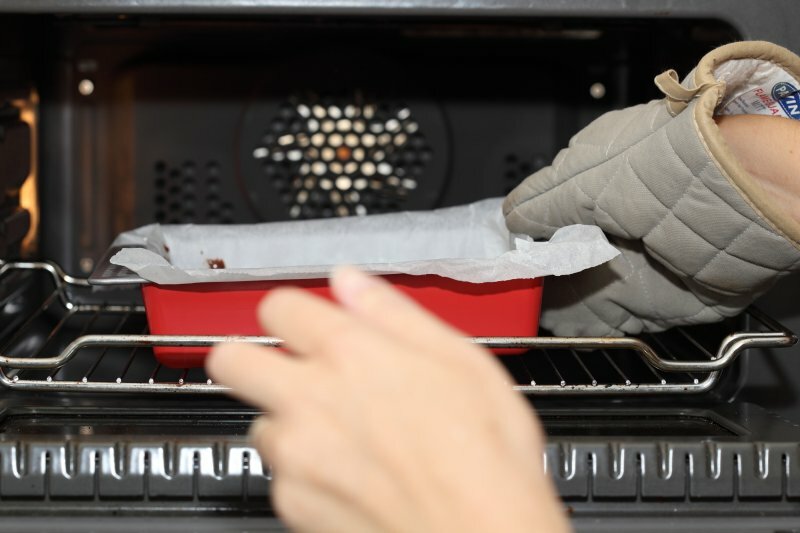 I preheat it a little bit higher first and then turn it to the right temperature as soon as the tin goes in the oven, because you always lose heat immediately when you open the oven door. 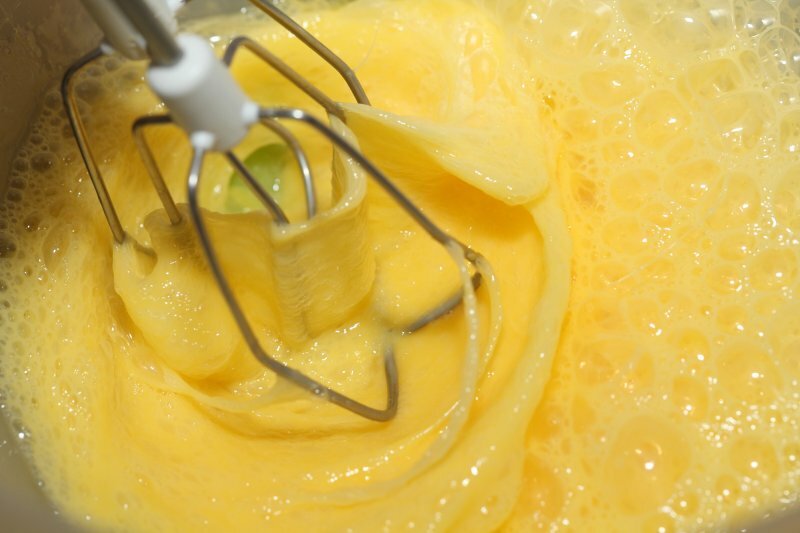 With an electric mixer (I use a hand mixer for this) whisk the eggs at maximum speed until light and foamy. 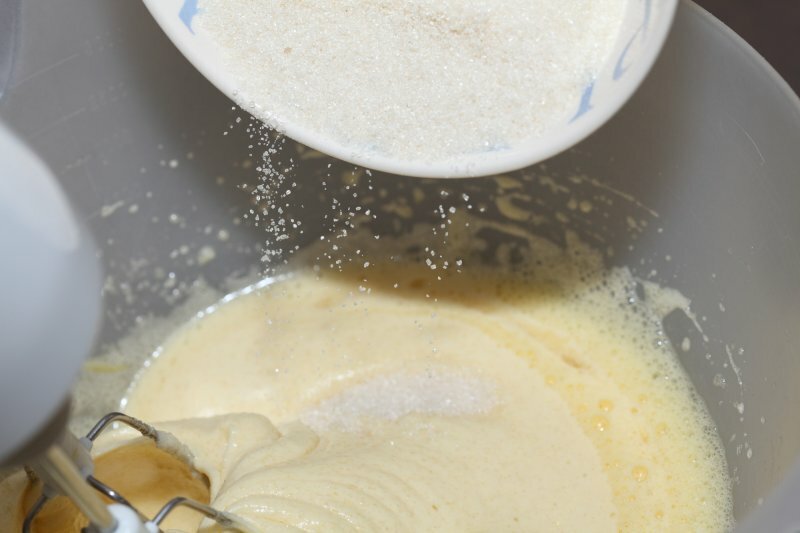 Now, mixer at medium speed, gradually add the sugar to the eggs and mix to a thick milkshake consistency and a pale yellow color. 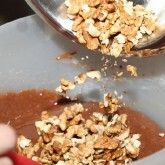 Now mixer on low speed, also gradually add the cooled chocolate mixture, until you have an even mixture. 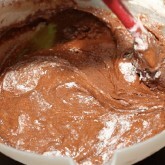 Use a sieve to add the flour, cocoa powder and salt to the chocolate mixture. 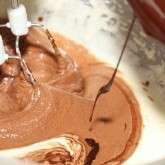 Cover the top of the chocolate mixture evenly with the flour and very gently combine the two with a spatula. Keep folding until you have an almost even mixture that looks fudgy. 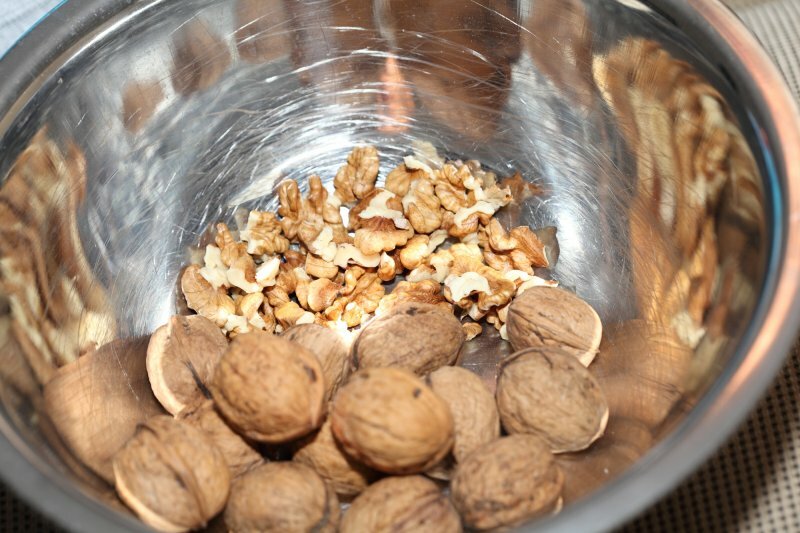 At this stage, when it’s almost combined I add the chopped walnuts, so they are evenly distributed through the mixture. 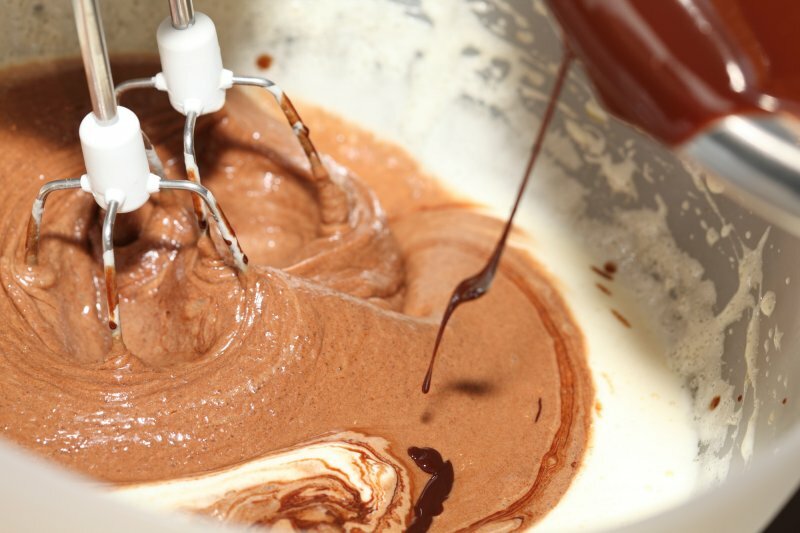 Make sure to stop as soon as everything is combined to avoid over-mixing. Time for the oven! 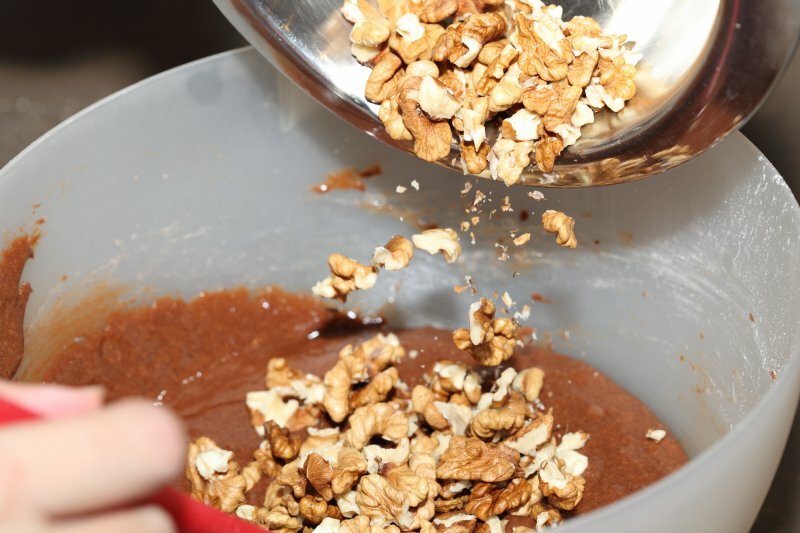 Pour the mixture into the prepared baking tin, use a spatula to clean out your bowl. 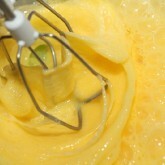 Make sure the mixture is evenly distributed, ease it into the corners with your spatula. Put the tin in the middle of the oven and bake the brownie mixture for around 35 minutes. Check if the top has a papery crust and a pale brown color. Check if the middle part is also set by lightly pressing the top with your fingertips. (you can stick in a skewer, if you can see some brownie mixture stuck to it, that’s fine, as long as it doesn’t have a liquid consistency. Give it a few more minutes in the oven if it’s not set in the middle and check again. Take the tin out of the oven and leave the brownies in the tin to cool completely. 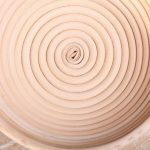 If you cut them while they are still warm, the consistency will be a bit like hot chocolate mousse, also very nice, but the substance will stabilize when cooled down completely. 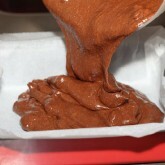 Meld the chocolate very gently ‘au bain Marie’. Take off the heat and add the butter and golden syrup. 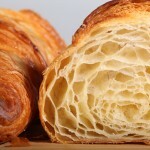 Stir until you have a smooth glazing and leave to cool a bit, making sure it still has a workable/spreadable consistency. 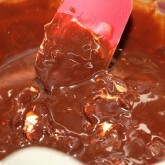 Spread the mixture over the brownies and cover the top. Leave to cool completely. Cut into 4 squares and cut each square into 4 squares again. Keep them in an airtight container (up to a week) or in the freezer (up to a month). Hi there! Having difficulty sourcing the Callebaut 67% Madagasgar chocolate here in U.S. Any other recommendations you might have and you do specify to use the bar chocolate, correct? 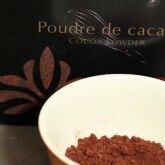 I was able to find the Varlhona cocoa powder. 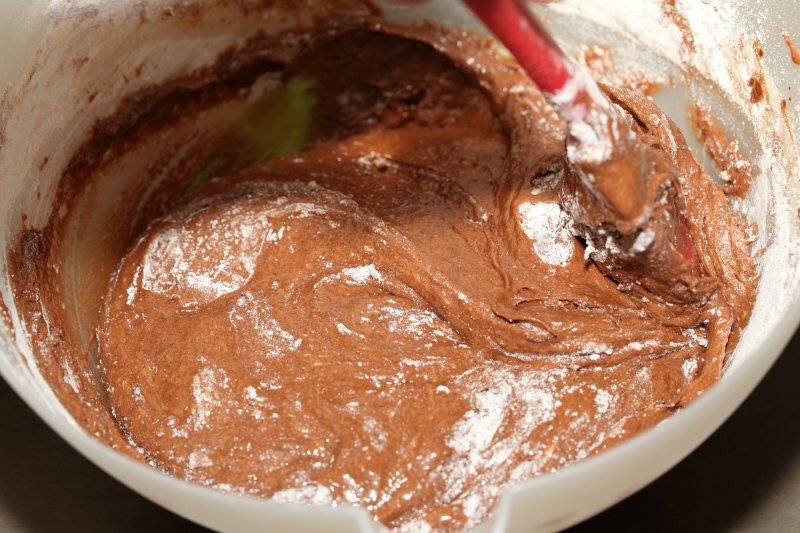 Can’t wait to make these brownies! You can use any good quality chocolate that comes close to the 67% cacao content. 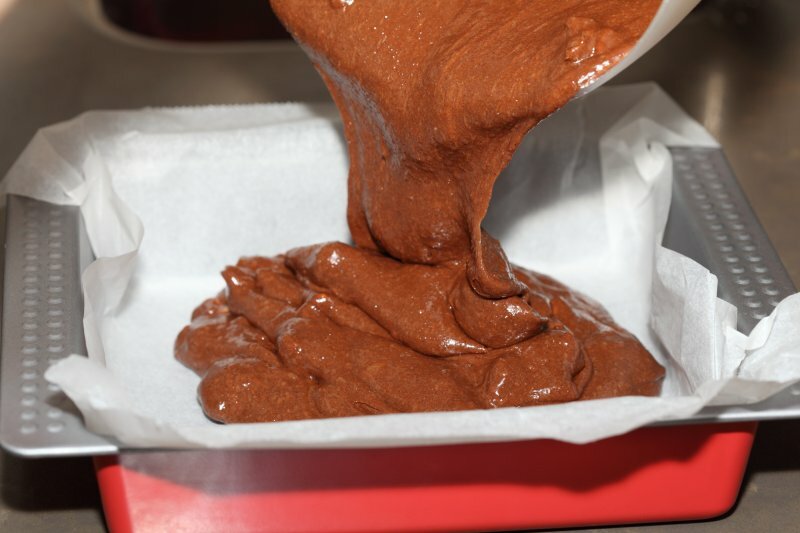 It does not really matter what shape the chocolate comes in (we use the small half round ‘callets’ , but you can cut a bar in small pieces) because you are going to melt it anyway, but it works best like we describe over simmering water with butter and chocolate in pieces (look at pictures too). That sounds great! I was able to source the callets online. 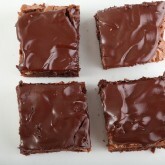 Cant wait to make these and also the drunken cherry brownies. My cherries are drowning in Amaretto as we speak. Thank you for your timely response. Hi, what is “golden syrup” ? Golden syrup is a sugar syrup with a golden brown colour made from the ‘by-products’ (sucrose, fructose en glucose) of the cane sugar making process . It is used in a lot of Britisch recipes and sold over there mostly under the brand name Lyle’s golden syrup. You think this would do it? Yes, we know from experience this works, but what you get is more like ‘dulce de leche’ so it does not really resemble golden syrup. But maybe it will be very nice anyway. We did however use this condensed milk caramel in between two layers of the brownies and that was delicious! Hi! 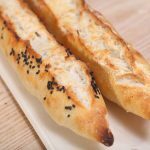 Made these last night and it sank in the middle after cooking…have yet to taste them but do you think the middle is uncooked?! Or any tips on how to avoid this. If this is the case than you simply need to bake the brownies for a few more minutes and or bake on a slightly higher temperature. Not all ovens are the same and the real temperature of your oven can differ from what you read on the settings too. Maybe you can make a note for next time, then they will be perfect I’m sure. did you use couverture chocolate for this? We actually did, but it is absolutely not necessary for this recipe, just make sure to use a good quality chocolate (bar). 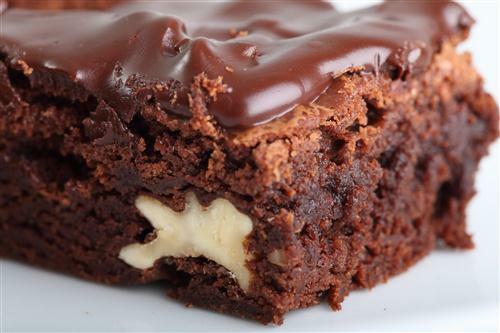 I think there is a brownie-heaven!! Have a great (brownie) weekend! 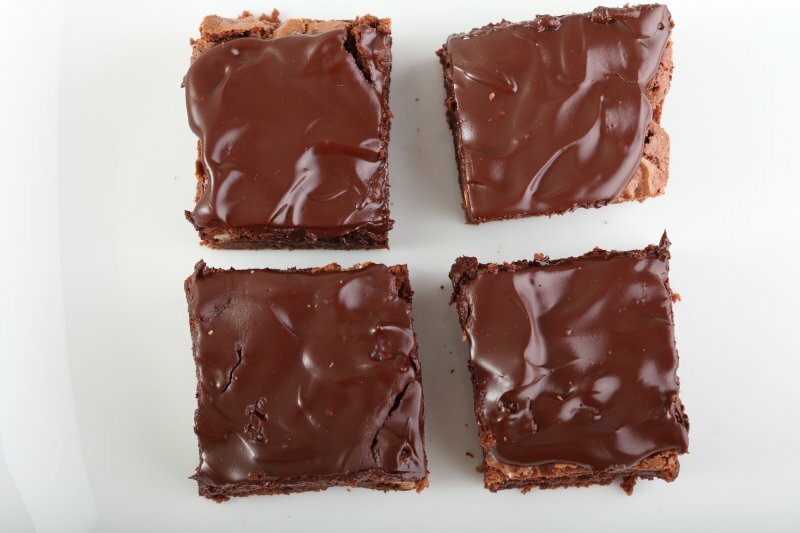 Made these this weekend….died and went to chocolate brownie heaven…but had to return now to bake some more…. Kept it in the fridge and microwaved them op 600w for 30 secs to get them nice and gooey again. Very very chocolatey! 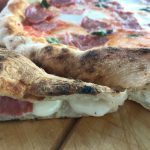 Thanks for another winner recipe! Great to hear you like the recipe. Last time we made this recipe ourself, we dropped the nuts and changed it for a layer of toffee made from condensed sweetened milk in the center…. heaven! Thanks for sharing Henk, how wonderful and congratulations! 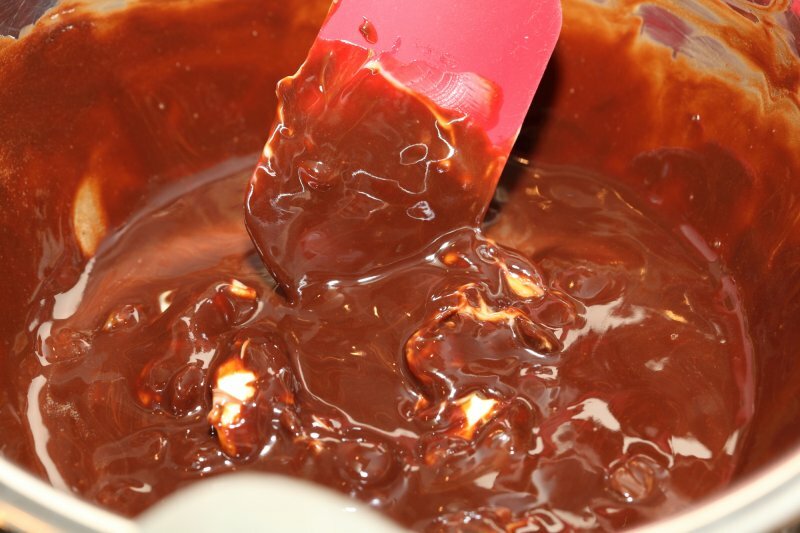 Brownies are one of my favourite things to make and I have a tip for melting the butter and chocolate. 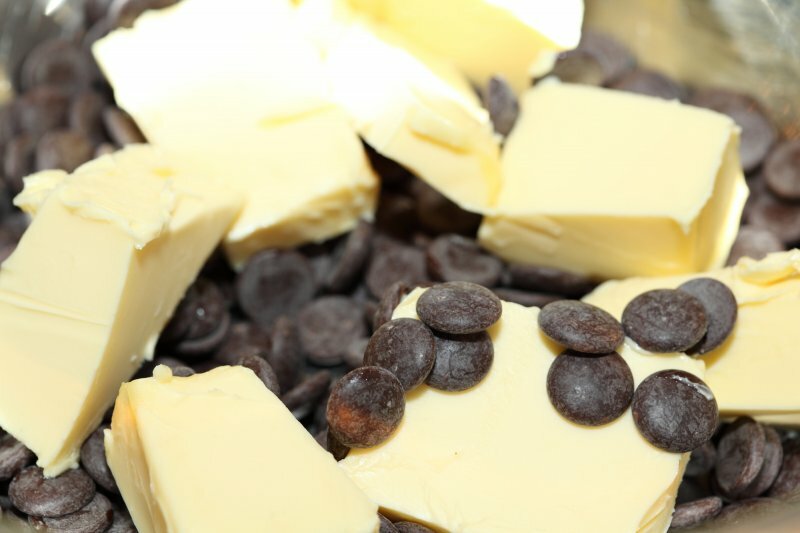 Rather than using the au bain marie method, you can put the butter and chocolate in a plastic bowl and microwave carefully. Obviously need to pay attention that the mixture doesn’t get too hot (chocolate burns easily), so give it 30 seconds and then stir then another 30 seconds, etc. It works! Thanks for your addition. I am sure lots of people will prefer your method although I do not mind the slow stirring and smelling of chocolate over low heat myself. It can be quite meditative :). 1 question: what kind of butter is the best? Dairy butter, or Margarine. 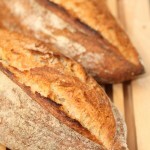 Quick answer; We always use real fresh organic dairy butter in our recipes.